The following is a long overdue update regarding the expansion plans for LSA. I first want to thank you for your continuous support of LSA. The entire expansion project has been tediously frustrating, but your support has been constant. Thank you for hanging in there! You might remember that in December of 2012, the LEAH Schools Association, with the support of many among the Pioneer community, was able to purchase the 22 acres adjacent to the LSA property. In 2013 we began the “Growing LSA Capital Campaign” to pay off the land, expand and remodel our extra-curricular facilities with the hopes of adding additional performing arts space, gym space, a new track and field, and tennis courts. Thanks to the enthusiasm and support of our donors, we were able to raise enough money to pay off the land which we now own free and clear. The project and campaign hit a major snag in February of 2015. At this time, we learned we had man-made wetlands on the property which would require mitigation through the Army Corps of Engineers before we could start any construction. This time-consuming process held us up until the Spring of 2018 when we finally received the necessary permitting from the Army Corps of Engineers. Now that we have all necessary permitting from the Army Corps of Engineers in hand, we can once again move the expansion plans forward without delay. 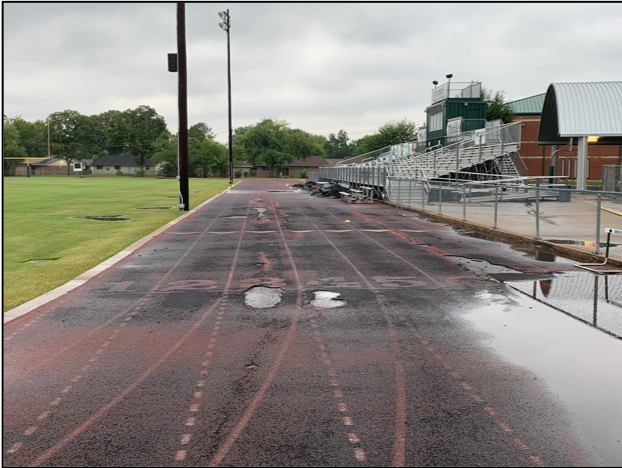 In recent months, we have worked diligently to update our plans for the track and field to reflect the current and future needs of our school as well as the master site plan of our campus. This project will have a huge impact on day to day experience at LSA. The track and field will be utilized by PE classes, recess periods, sports teams, the community, and will allow us to expand our program offerings. Due to several factors, the biggest being cost, the initial plans have evolved. 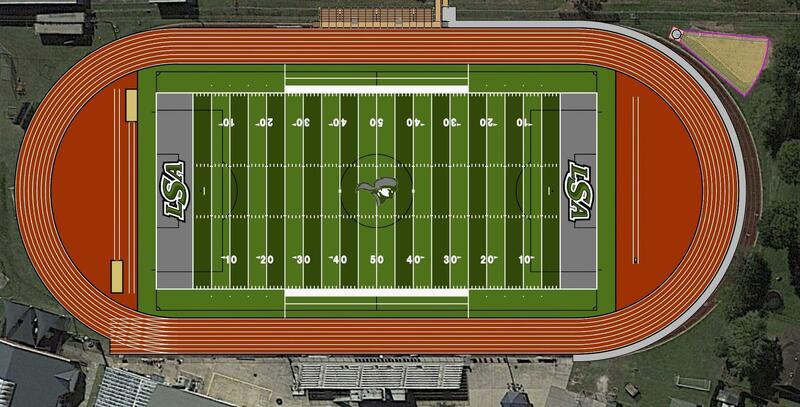 We have most recently been working on a plan to renovate our track and field in its current location. It is our hope to replace and upgrade this important aspect of our school before the 2019-2020 school year with construction beginning this spring. Our new plan is now in place and we are closer than ever to breaking ground on the LSA Track and Field project this spring. For Phase 1, which includes the all-weather track, the all-weather turf field, new lighting, new press box, and renovated bleachers, we will need to raise $2.5 million dollars as outlined in the cost breakdown below. The LEAH Board of Directors has approved the construction process can start once the cash donation amount reaches 60% of the budget number and pledges secure the remaining 40%. We currently have $900,000 of the $1.5 million needed in cash donations and we have already been able to secure the $1 million needed in pledges. We are excited to finally be moving forward with a plan that will help the growth of our school, our programs, and the experience of every LSA student at all levels. We will provide regular updates on this project so all members of the LSA Family are kept up to date on our progress. We also welcome any questions you may have regarding the project. This will be a transparent undertaking and every penny donated will be accounted for with financial reports available for review. If you have any questions or would like more information, please let me know. I would love to answer any questions or concerns you may have regarding this project. Please contact me at rob.psencik@leahschools.org. If you would like to give to this project please click the following link. Click Here to support LSA. Again, I want to thank you for your continuous support of LSA. We are truly blessed to have an amazing community at LSA!